It's Raining Books welcomes Dr. Vera Tarman who stopped by to answer a few questions. If you could have one paranormal ability, what would it be? I would be more patient and less rushed. I would be able to stop mindfully on command. Of course I know that this is not paranormal, but it is so unrealistic for me, it may as well be paranormal. To be able to be calm, listen well, observe, and enjoy the moment in the face of my daily work expectations is almost impossible. If I can do it once or twice in a day, I am pleasantly surprised. To be able to do it at will would be extremely powerful: I can imagine that to be able to listen to someone I am angry at would make my work and challenges inherently easier. I find it near impossible to do. Although I am a clinician, who has seen over thousands of addicts (food and otherwise), I am also a person with my own experience in addiction and recovery. I used to be very apprehensive about sharing my own story, but I have discovered that readers really appreciate and value my suggestions more when learning that I understand their struggle experientially. This was quite a surprise to learn. I was taught to be the objective ‘healer’ but have learned that the power is in the connection, in the identification with the other person. When writing descriptions of your hero/ine, what feature do you start with? I like to start with some difficult life circumstance that the reader can identify with. I believe that all of us have a cross to bear and are struggling with it on some level. 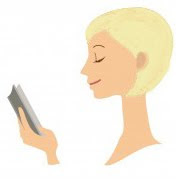 I want to find that thing that the reader can connect with, that will make the reading a joint project. Then I want to instill hope where there is despair and show there is a solution or a sense of meaningfulness around that painful event. No question about it. I am a plotter. I have very little pantser in me. When I have time off, with nothing planned, I actually am very uncomfortable. I like a plan, and fear the wide openness of vacation. Did you learn anything from writing this book? If so, what? Yes! I always knew that writing is a hard job because it destroys, challenges, indeed, depends on the pantser side to thrive. The destruction of routine that writing brings really affects my mental stability. Writing this book reconfirmed this. I am not looking to write a second book anytime soon! I also learned a great deal about the publishing industry of today: what sells gets published, not what is needed or is essential for good health. Publishing is a business in crisis. It is not a social service. Is it possible to be addicted to food? When does indulging in 'comfort' food become substance abuse? Is it possible that there is more than a lack of will power at work when someone can't stop eating? 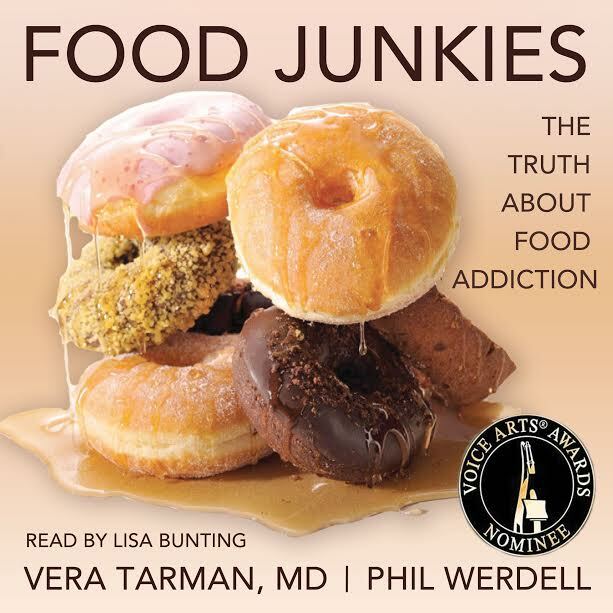 In Food Junkies, Vera Tarman and Phil Werdell explain what is - and isn't - food addiction, tackling this complex and poorly understood problem through the stories of many survivors and from the perspectives of medical researchers/practitioners. They break down the science behind the research so that anyone can understand it, and take a fresh look at obesity, overeating, binge eating, anorexia and bulimia. For people struggling with these issues — and their families — recognizing the condition is the first step to gaining the kind of support and advice they need. Food Junkies (finalist in the 2016 Voice Arts Awards) offers hope and guidance. 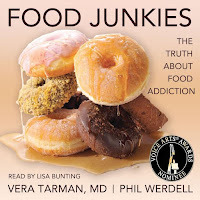 Read by Lisa Bunting, according to one audible customer review, her "calming voice assists with decreasing the shame so often found with addiction and can open the listener up to actually hearing," while another noted the audiobook version "brought the science to life in a different way than the book. It made it even more real as one can't 'skim' or 'rush' through the life-changing content." Enjoy this audio excerpt from the book. About the Author:Vera Tarman is a medical practitioner who focuses on addictions. She is the medical director of Renascent, an addictions treatment centre. Dr. Tarman conducts workshops and speaking engagements on the science of food addiction and "comfort food" abuse. She has reached audiences across the world. She lives in Toronto. About the Narrator: Lisa Bunting is a stage, screen and voice actor, drama instructor, audition coach, and professional skills development simulator. For Post Hypnotic Press, she has narrated the non-fiction self-help titles The Woman Who Changed Her Brain, The Remarriage Blueprint, Voice Arts Awards-nominated Food Junkies and the forthcoming i-Minds. She was named Best Supporting Actress at LA’s Focus International Film Festival, Winter 2015. She is a member of Canadian Actors’ Equity and ACTRA. Also, buy the audio book at Audible, Amazon regular CD or MP3 CD, or Audiobooks.com. Interesting to see the narrators bio too. 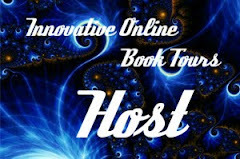 Thanks for participating in the FOOD JUNKIES audiobook tour!